This is a sponsored conversation written by me on behalf of Young’s Seafood. The opinions and text are 100% my own. 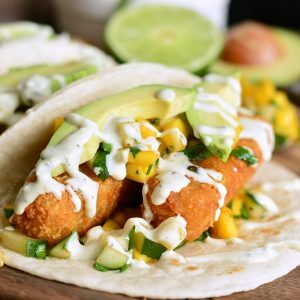 These amazing crispy fish tacos are a perfect combination of crunchy fish in a soft tortilla with a sweet and spicy relish. 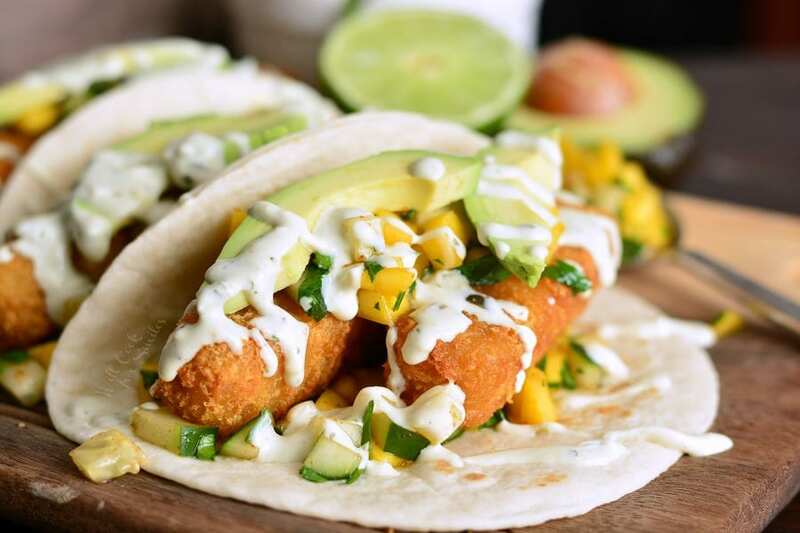 These tacos are made with crispy fish fingers, sweet and spicy cucumber mango relish, fresh avocado, and topped with avocado cilantro crema. Every bite is a party in your mouth! Sometimes I feel like I have a taste pallet of an 8-year-old because I love fish sticks and chicken fries as much my son. Sometimes, when it’s just the two of us at dinner time, I just bake us some fish sticks and fries and we happily share it. Who said that it’s just for kids? 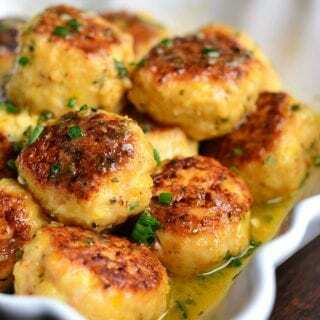 Fish sticks are also more than just for fish and chips or dipping into ketchup. (Hope I’m not the only one to dip my crispy fish sticks in ketchup.) 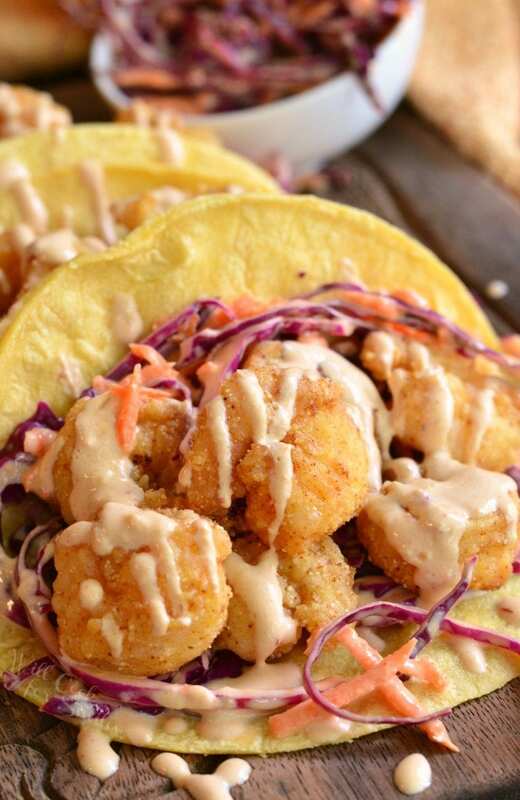 Did you know that crispy fish sticks are amazing in tacos? 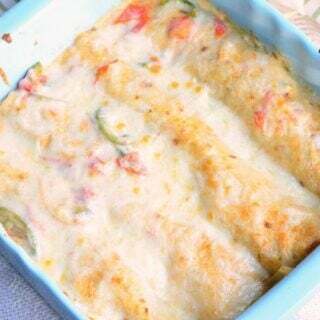 It’s a great combination of textures when a crispy fish fillet is wrapped in a soft, flour tortilla. 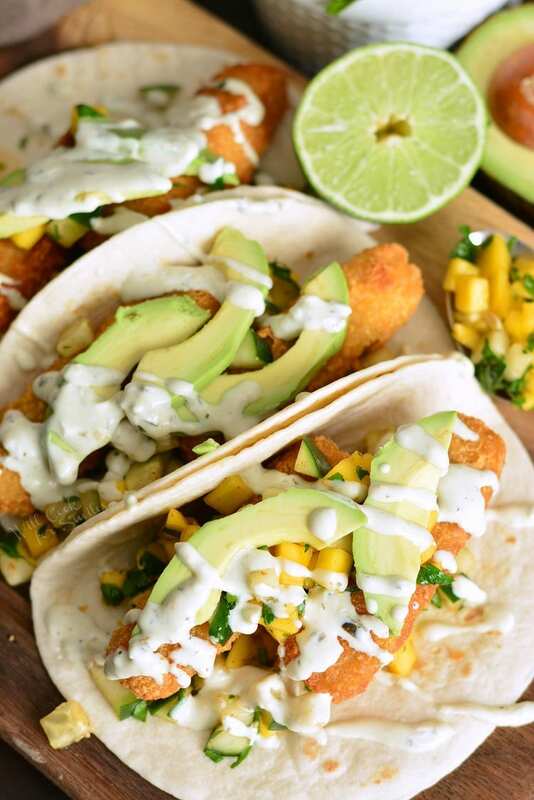 We often take advantage of the fun “Taco Tuesday” tradition and if you do as well, try FISH TACOS! 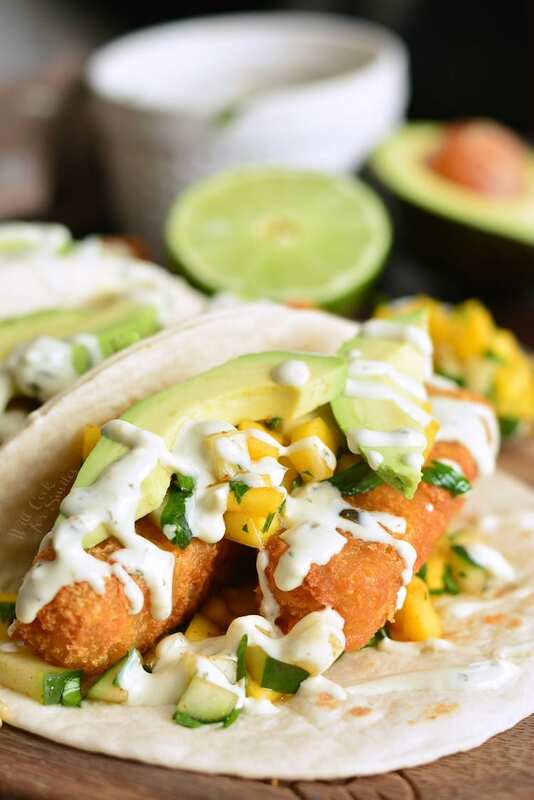 These tacos that I’m sharing today are made even more amazing with the addition of spicy cucumber mango relish, avocado, and a cool crema. 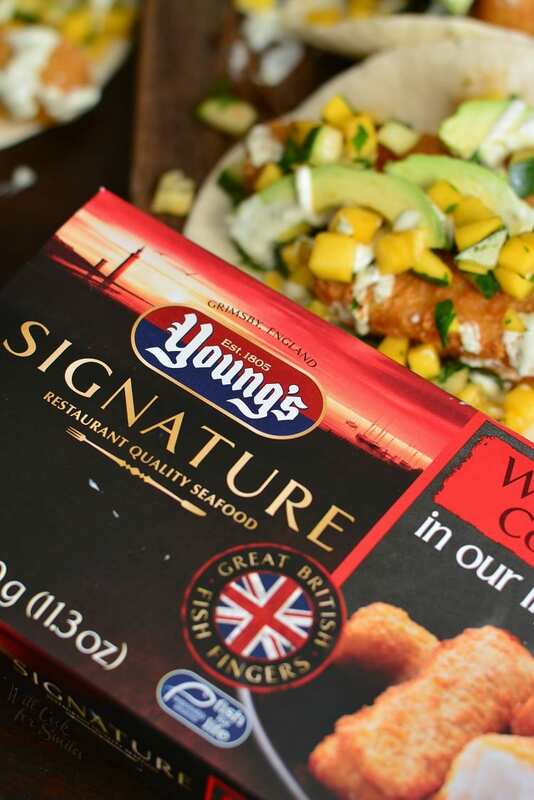 Recently, I’ve been introduced to a new brand of seafood called Young’s Seafood. They are actually only new to USA. This is a British company who are now sharing their fish expertise with us, in US. 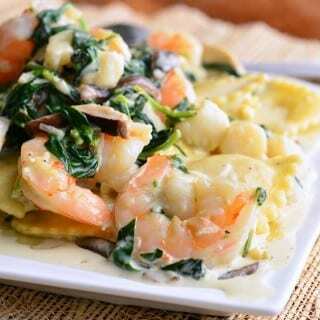 They had a wide variety of products available to try, ranging from raw seafood to prepared meals. I had a pleasure of trying the Cod Fillet Fingers and Beer Battered Cod Fillet. 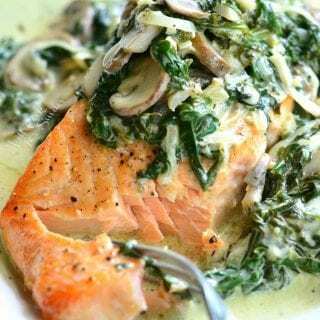 Next to salmon, cod is my favorite fish and I gotta say, they nailed it! The fish was firm and flaky with perfect cod flavor. The batter was beautifully crispy and just the right amount. Many fish sticks that we’ve tried in the past had batter that was way too thick with a tiny fish amount inside. This is not the case here, it’s a thin coating of crisp batter with a big, juicy cod on the inside. 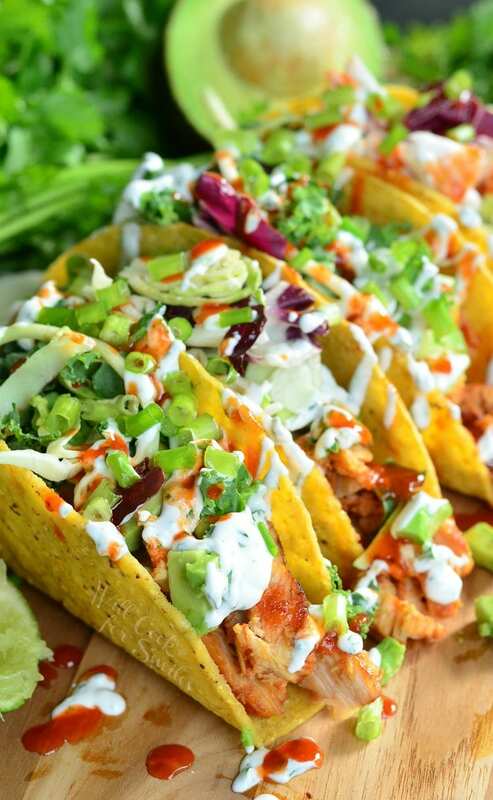 Biting into this taco is a fantastic experience for your taste buds. It’s not just the combination of textures, but the combination of flavors too that makes it so pleasing. 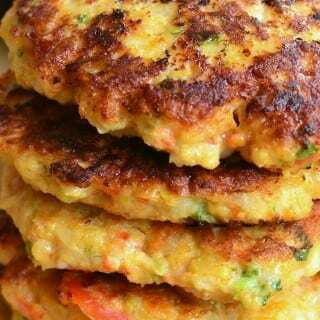 The crispy fish stick meets a soft tortilla and cooling cucumber and mango. 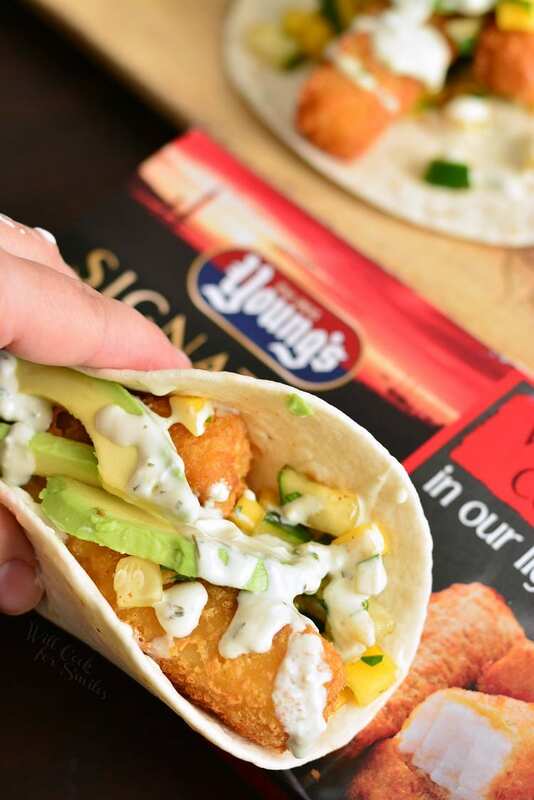 The sweet, salty, and spicy combination between the crispy fish and mango relish hits all taste areas at one. Avocado and avocado cilantro crema serves as a perfect creamy cooling agent for the chili spice. Bake or fry fillet fingers according to the package instructions. Dice mango and cucumber finely and add them to a small bowl. Mince cilantro and add it to the bowl. Add honey, lime juice and chili powder to the cucumber and mango as well. Mix well, until all evenly combined. Set aside. 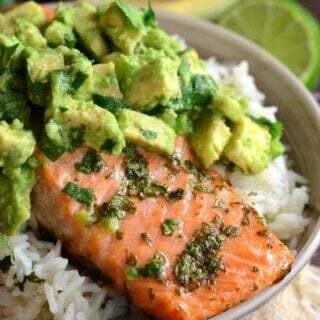 In a small bowl, combine sour cream, heavy cream, minced cilantro, mashed avocado, salt, and garlic powder. Mix well and transfer into a small zip-lock bag. To put together the tacos: add about a table spoon of relish to each taco. 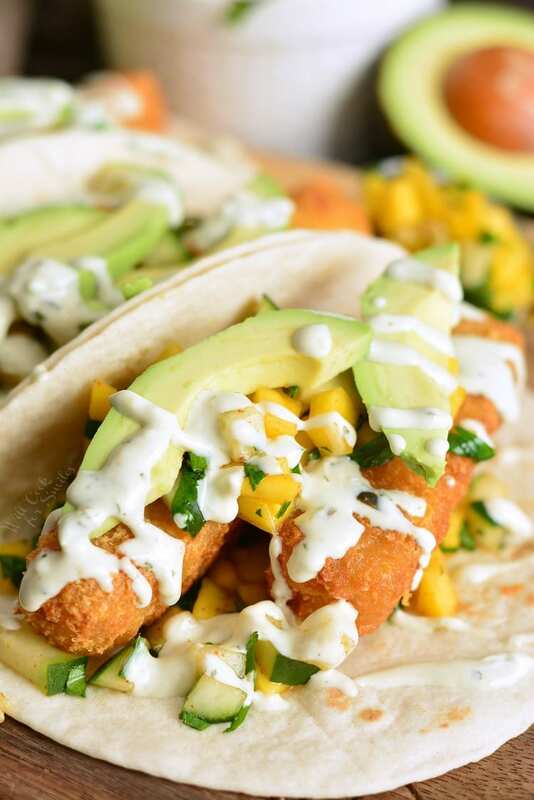 Then, add two fish fingers to each taco. Top off with some more relish and a couple of avocado slides. 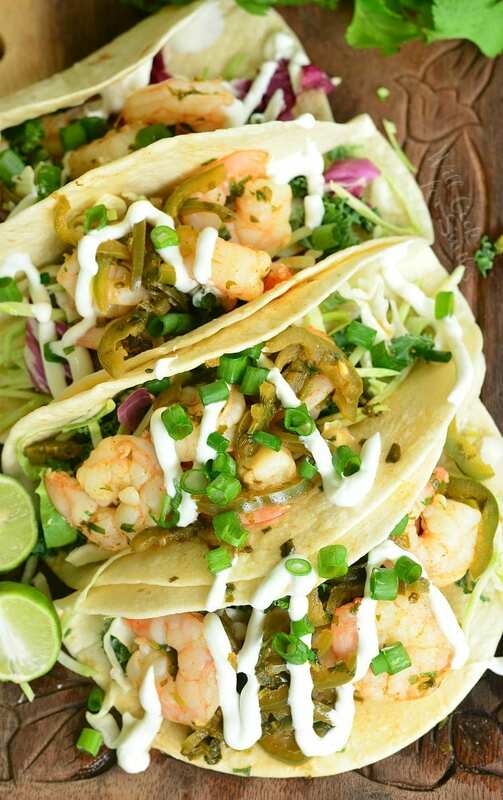 Cut a small tip off the bottom corner of the zip-lock bag and drizzle crema over tacos. This is a sponsored conversation written by me on behalf of Young’s Seafood. The opinions and text are all mine.